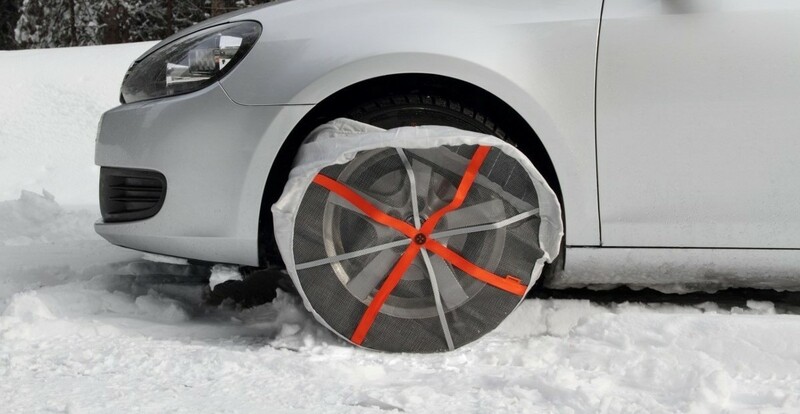 As improbable as it sounds, the tire sock really does exist and is aimed at drivers who occasionally need added grip in the winter months, such as when on slippery hills or icy driveways. If you’re confused, you needn’t be. 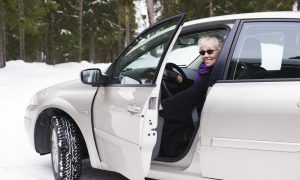 U.S. consumer organization Consumer Reports recently evaluated three textile products that fit over tires to aid traction: AutoSock, ISSE and the Michelin Easy Grip. While the AutoSock and ISSE resemble a cloth sock that slips over the tire, the Michelin Easy Grip looks and works more like a snow chain made of rope. According to Consumer Reports, all three products are intended for use on snow- and ice-covered roads only, and they have limited speed ranges of 25mph (Michelin Easy Grip and ISSE) to 30mph (AutoSock). 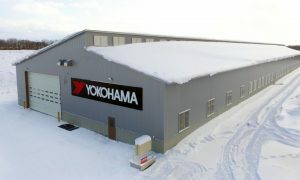 Each product comes with a pair for the drive wheels of a front- or rear-wheel drive car, but they can be used in a set of four for an all-wheel-drive vehicle. Although prices will vary depending on retail outlets and product sizes, Consumer Reports found: Michelin Easy Grip for $139.60, AutoSock for $109.95 and ISSE was the least expensive at $71.96. Consumer Reports measured the snow traction performance of the products on a set of Michelin Premier A/S all-season tires in its standard snow traction test, where the tester accelerates from 5mph to 20mph. Less distance needed to reach 20 mph equates to better snow traction. With no traction devices installed, the tester’s Toyota Camry took 73 feet to reach 20 mph. 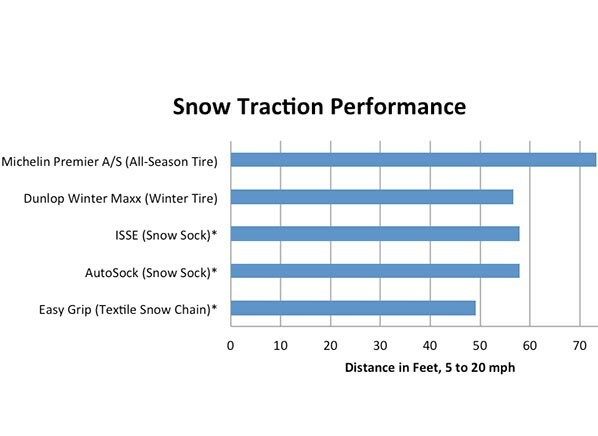 The AutoSock and ISSE “tire socks” significantly improved snow traction, shortening the distance to 58 feet, while the Michelin Easy Grip did even better at 49 feet. For comparison, a dedicated winter tire took 57 feet to reach 20 mph. Installing the products is straightforward but still takes “muscle and patience” to slip them over the tire, and you have to factor in the cold. Consumer Reports recommends installing the products somewhere dry and quiet, away from traffic, rather than in the snow on the side of the road. Each requires the tire to rotate periodically during installation to position the traction aids properly over the tire’s tread, so it’s much easier if you have help. 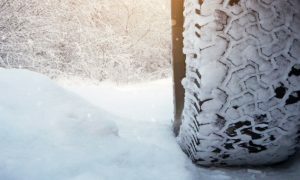 While all of the tire socks added grip on snow, Consumer Reports suggests snow socks are good for temporary traction when it’s needed occasionally, but they aren’t a replacement for winter tires. It recommends adding snow socks to a winter emergency kit in the trunk. Works at speeds up to 30 mph on snow and ice. Available in different sizes to fit most vehicles. Should be fitted to the drive wheels. Can be used with and improves electronic safety systems such as ESP, ASC+T, ASR, ABS. Is four-wheel drive compatible when installed on the front wheels. Works with vehicles having low clearance between the tire and the body and/or between the tire and the suspension. More than 1 million AutoSocks have been sold in Europe and Asia. Recommended for occasional or emergency use for passenger cars, vans, pickups and 4x4s. Allows top speeds of 25mph, provides better grip on paved roads, and will not deteriorate when used on snowy and icy roads. Strong mesh design grips the snow, while steel cleats grab the ice. Lightweight, installs in under 2 minutes and is easy to remove. Not yet approved by the California DOT as a chain substitute.